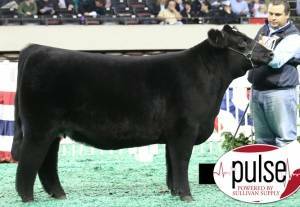 A high percent, ¾ Maine bull, TH and PHA free, caving ease prospect out of the top selling bred heifer from 2012 Jones show cattle sale. 58 pound birth weight. Four generations of maternal perfection and calving ease. 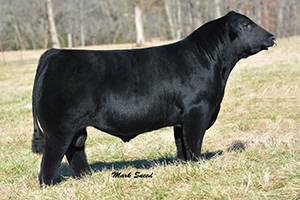 The most unique high Maine bull to come along in years in terms of moderation of frame; being deep flanked and huge middled. Perfect in terms of foot size and structure and moves like he is walking on air. Grand Champion Maine Bull at the 2013 American Royal and 2013 NAILE!